Matcha, the potent and earthy powder finely ground from shade-grown green tea leaves has been embedded in Japanese culture for centuries. 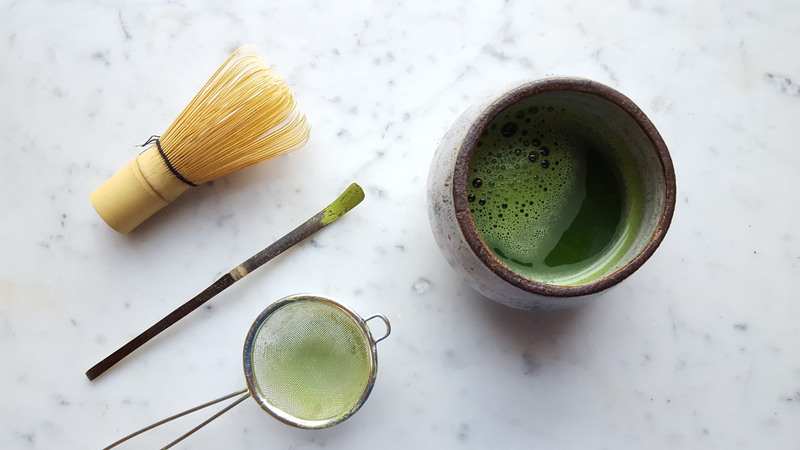 An integral part of traditional Japanese tea ceremonies, matcha has recently undergone an evolution from its long-established use in Japan appearing in innovative deserts like shaved ice, pancakes, fondues and ice cream popping up in matcha-only cafes in Tokyo. Tourist Japan sees a keen interest in both the classical tea ceremonies as well as the inventive use of this iconic green powder in new ways. This modern movement of matcha can be seen not only in Japan but also on a global scale, with matcha becoming a mainstream commodity in North America with matcha-based drinks appearing at major chains like Starbucks and The Coffee Bean & Tea Leaf, and matcha powder being sold at retailers such as Walmart and Amazon. Rich in antioxidants and a known metabolism booster, matcha offers a wide array of health benefits which adds to its appeal and part of the reason it has become so popular in North America. Matcha is categorized as a superfood, and with other popular food trends like chia, kale, avocados and almond milk gaining popularity, it is easy to see why matcha has been in the spotlight. Millennial momentum has also contributed to the global rise of matcha, appearing over 3 million times with the hashtag #matcha on Instagram, it is clear to see why this brightly colored green beverage has become so trendy. According to these trends, the explosive matcha craze is not just a fad but is here to stay creating record-breaking exports from Japan. The growth and popularity of matcha in the west, has created a major demand and an increase in production in Japan. According to Market Watch, “Matcha is currently the fastest growing segment of the global tea market”. In Japan, matcha is predominantly produced in Kyoto, Aichi and Shizuoka prefectures accounting for a significant portion of the market. The Nikkei Asian Review reports that some “1,978 tons of green tea have been shipped out of Japan in 2018,” a 4% increase from the previous year and “the highest-ever total for the period” and that exports are expected to surpass that of 2017, which saw some 4,642 tons exported from Japan. The cultivation and production process of matcha is quite intricate, and according to Japanese tradition is even considered an art form. The leaves must be shaded, ideally covered by bamboo to protect them, as sunlight exposure can impact the quality of the leaves and the level of caffeine in the finished product. Green tea leaf harvesters pick the leaves by hand, selecting the greenest and the youngest leaves during the first harvest. If the leaves are picked in the later, second harvest they yield a different type of quality. Once these leaves are picked, they are steamed to prevent oxidation and air dried to maintain their vibrant green color and nutritious elements. Leaves are then de-stemmed and categorized based on quality. The last part of the process is the grinding, which also contributes to the overall quality of the matcha. Due to the in-depth process of matcha harvesting and preparation, it is clear why the price of matcha tends to range, and is much higher priced than other types of green tea. According to trade statistics from the Bank of Japan, and others, some 1,978 tons of green tea have been exported from Japan in the first half of 2018, resulting in the highest total amount since 1988. This heightened demand has increased production, which means more leaves are being harvested and the manner in which the leaves are picked has changed. Technological advancements enable machines to pluck the leaves enabling more mass-production. The time of harvest and the overall process of the leaves greatly impacts the quality of the matcha, which is categorized based on quality. From ceremonial grade matcha, the highest level of matcha to culinary and cafe grade matcha, there are several defining aspects to consider. 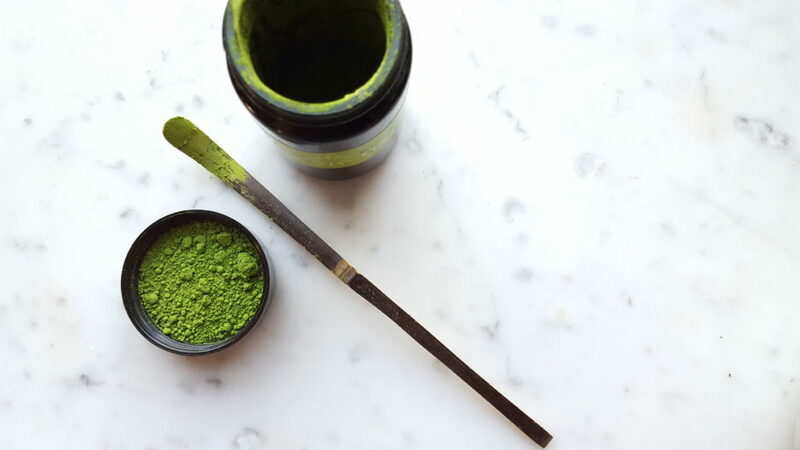 Quality and grade of matcha are determined by several components including the color of the tea, the texture, density, and fineness of the powder, whether or not the leaves have been de-stemmed, how much oxygen exposure (sunlight) the leaves have experienced, the grinding process and the manner in which the powder has been handled prior to preparation. With the continual expansion of mass-produced leaves and matcha, the quality of the product appears to decrease as the time-honored method of cultivation is evolving with the demand. 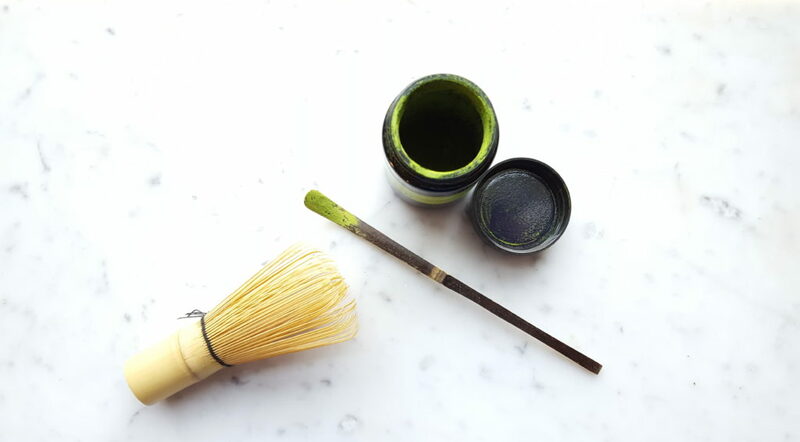 As mainstream matcha appears in the western markets, the vibrantly-hued green powder continues to appear in new ways. From matcha-only bars serving traditionally prepared, frothy cups of matcha to matcha lattes appearing in almost every coffee house, the renaissance-like matcha progression continues. Matcha is appearing in smoothies, ice creams, cakes, chocolates and even in alcohol in North America. It is, however, important to note that the quality of matcha may vary and for those looking to enjoy the health benefits of this robust drink, it is essential to be mindful of the quality grade. According to the nutritional information of Starbucks, a Matcha Green Tea Crème Frappuccino® has 430 calories, and 65 grams of sugar. The matcha tea blend used by Starbucks lists sugar as the first ingredient, before ground Japanese green tea. This is important to note as sugar is added to the powder to sweeten it, but the drink itself it 50% sugar. As matcha continues to gain popularity in the west, it is important for consumers to have awareness when selecting matcha. Many retailers sell high-quality matcha and the price point often corresponds to the quality. While it may be tempting to purchase lower-grade matcha, the nutritional components are diminished. Choosing organic and higher grade matcha ensures that the leaves have been grown and harvested properly, using traditional techniques and methods. Lower grade matcha is becoming more prominent in the market slowly dissolving the high-quality processing and cultivation of premium matcha. When choosing matcha, whether purchasing the powder in stores or online or ordering matcha-based beverages from cafes and restaurants, it is important to have understanding and awareness of the production process and how it impacts the overall quality. As Japan strives to keep up with the western and European demand, it is vital to ensure that traditional methods are not eliminated and that consumers demand a high-quality product. For further tips on how to know the difference between high and low-grade matcha, read more here.